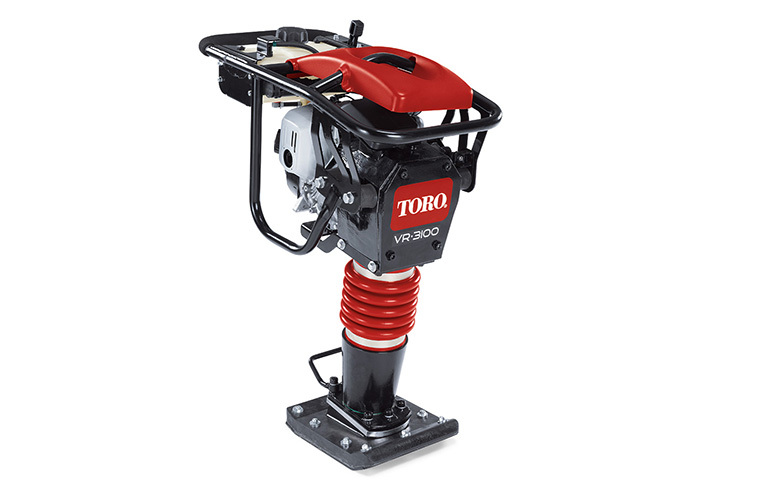 Toro's new line of jumping jack rammers are great for getting maximum compaction force with a lighter weight machine. These machines are built with high quality components, give a smooth finish and are very easy to use. Toro jumping jacks are manufactured with a high impact poly shoe with a steel reinforced base plate that can take a high amount of abuse. The see through fuel tank makes it easy to check fuel level. Heavy duty rubber shock mounts reduce vibration of the unit, prolonging component life and reducing operator fatigue. The handle and side shields wrap around the rammer and add protection from on site damage. Financing programs available like $0 down and no payments for 120 days and 0 percent interest for 42 months. Other programs available too! $0 down and no payments for 120 days on Toro Jumping Jack Rammers!